The National Conference of State Legislatures’ postcards were designed to represent, PEW Charitable Trusts at the NCSL event in Boston. 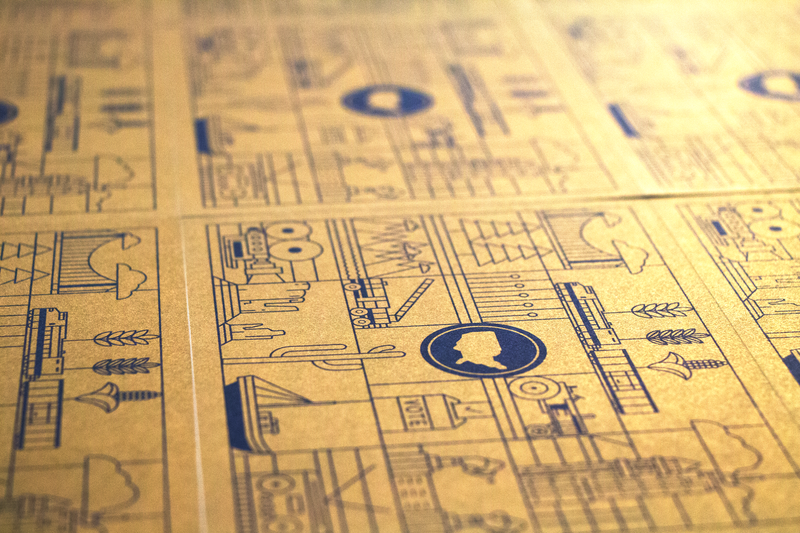 The illustration is based off of regions of the United States and was printed with metallic ink. The backside of each card is one of fifty states that contains a number of facts. 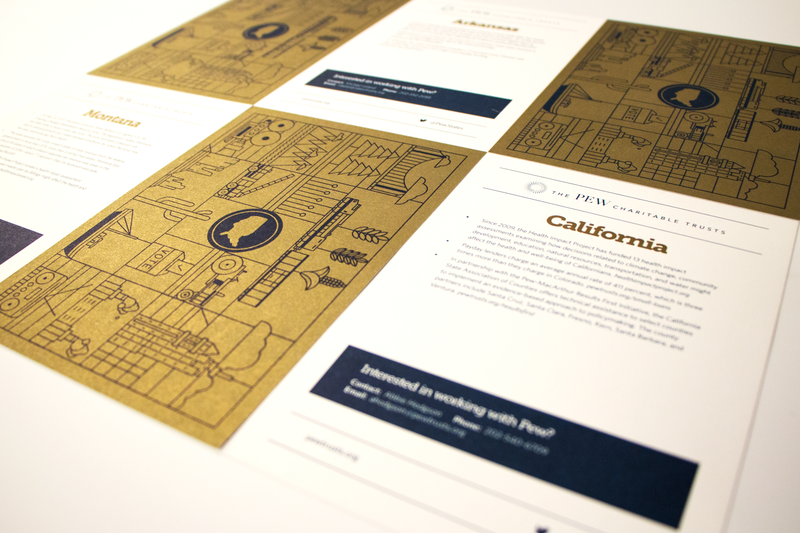 The illustration drove a number of assets which includes a map, table sign, brochure and web mailer.